The Watanabe RS8 / Watanabe RS Eight are JDM Wheels made in collaboration with SSR Wheels / Speedstar Racing. 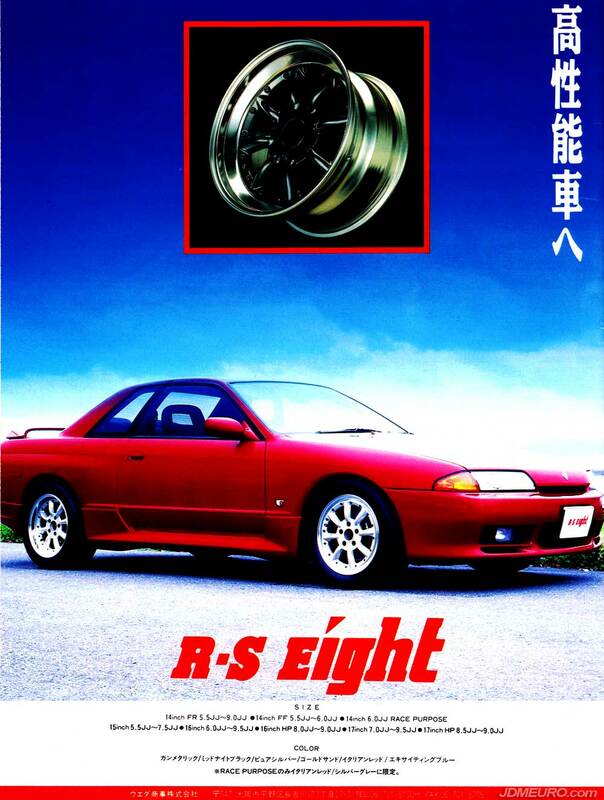 The Watanabe RS8 / Watanabe RS Eight feature an 8 spoke design as the name implies, with 2 piece construction. 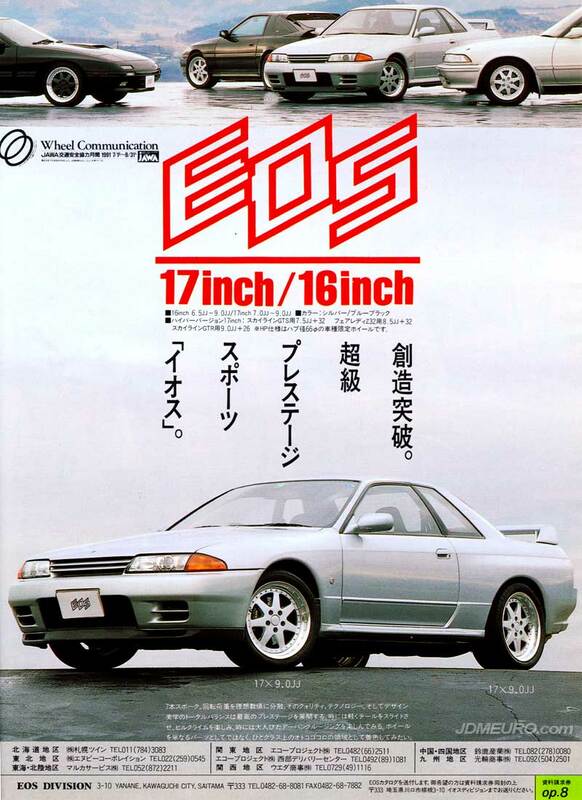 Pictured are the Watanabe RS8 / Watanabe RS Eight mounted on a Nissan Skyline R32. 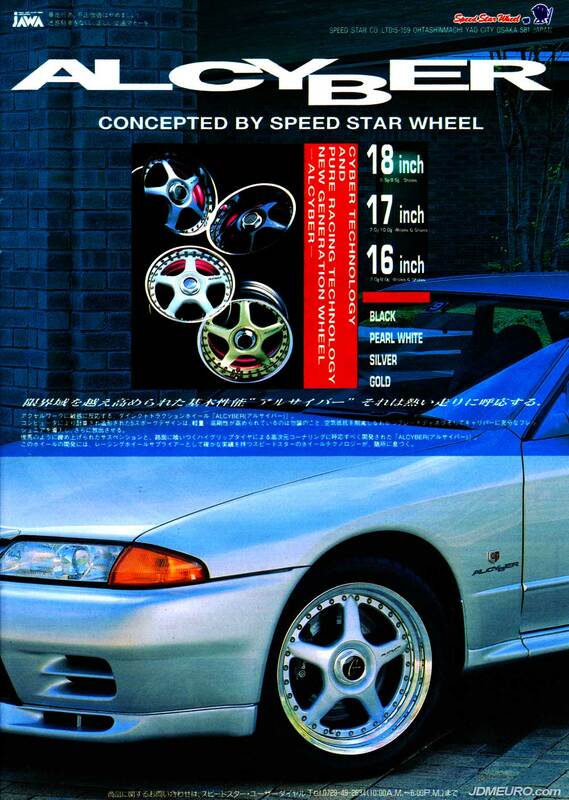 The EOS Division are JDM Wheels manufactured by Japanese wheel maker SSR Wheels. The EOS Division feature 2 piece construction, with a 7 spoke face bolted to the barrel. The EOS Division came in 16″ and 17″ diameters, up to 9″ wide. 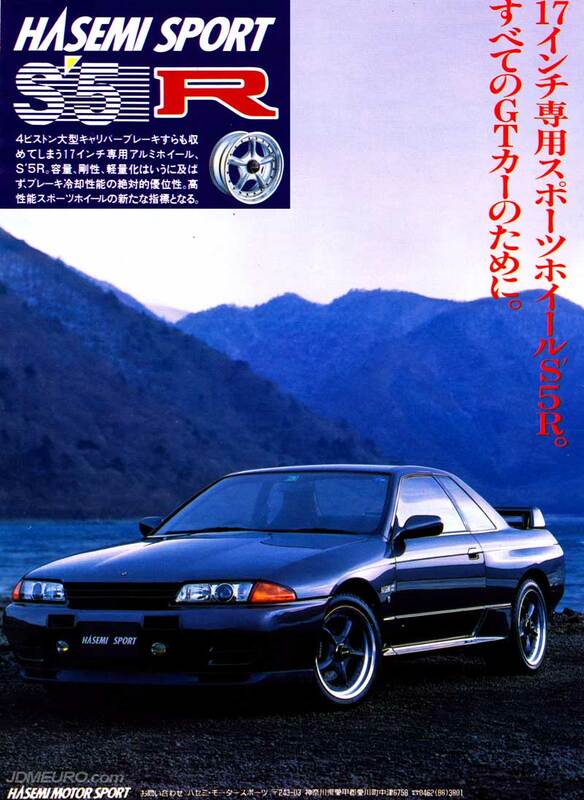 Pictured are the on a Nissan Skyline GT-R R32 in 17×9 all around. 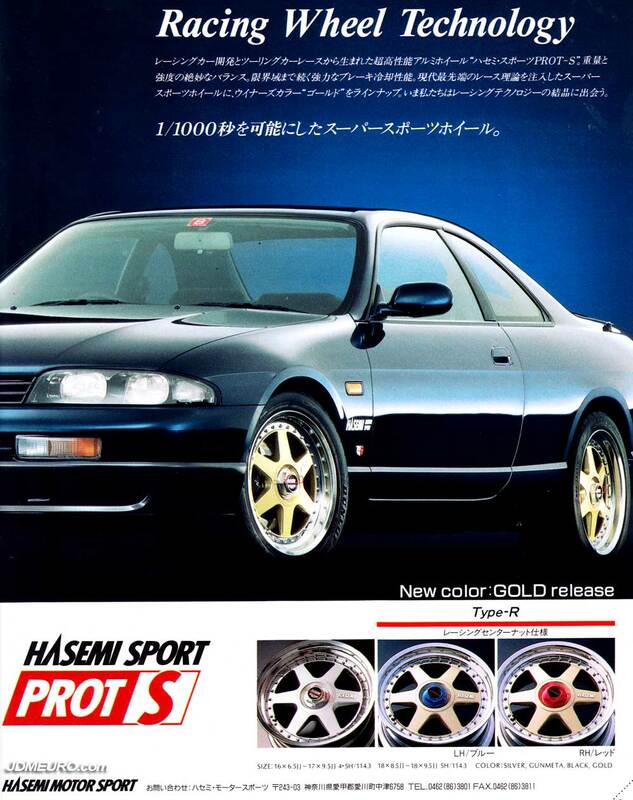 The Hasemi Sport S5R are JDM Wheels made for the Japanese tuning firm Hasemi Motor Sport by Speedstar Racing. The Hasemi Sport S5R feature a five spoke design with covered lug nut center cap system and 2 piece construction. The Hasemi Sport S5R were only available in 17″ diameter up to 9″ wide. Pictured are the Hasemi Sport S5R mounted on a R32 Nissan Skyline GTR. 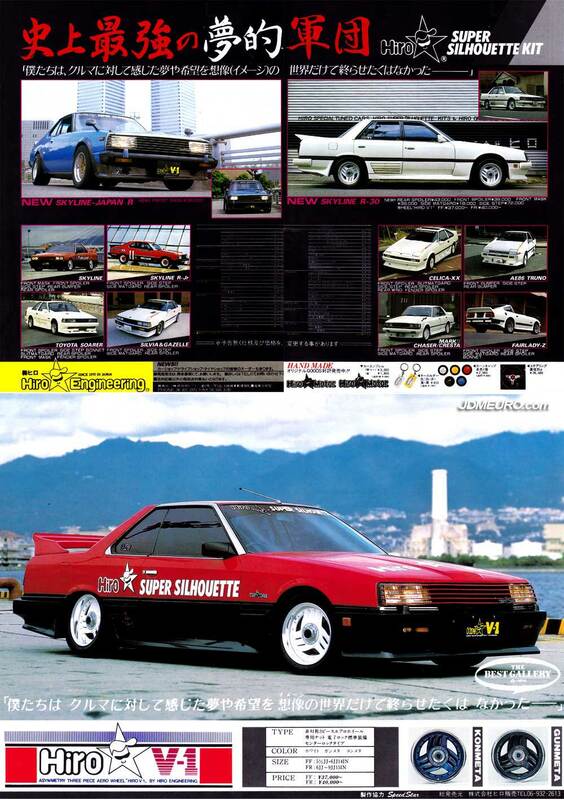 The SSR Integral S1 are JDM Wheels that I probably have never seen stateside. Not as popular as its 5 spoke SSR Integral A2 brother, the SSR Integral S1 features a one piece mesh design with covered lug nuts. The SSR Integral S1 also features the SSF Semi Solid Forging process like its older SSR Type X brother. 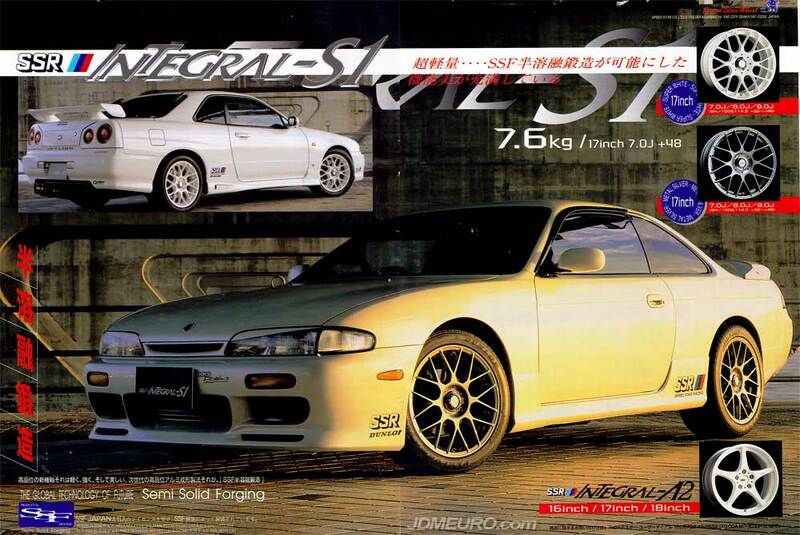 Pictured is the SSR Integral S1 mounted on a S14 Nissan Silvia and an R34 Nissan Skyline.